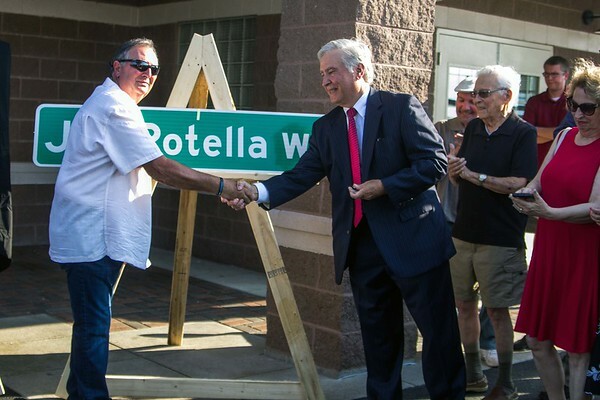 Niagara Town Supervisor Lee Wallace shakes hands with Rick Rotella, nephew of Joseph Rotella at the dedication of Joe Rotella Way. The new street sign will mark the entrance road to Veteran's Memorial Community Park as Joe Rotella Way. Rotella was the town's first Recreation Director.. He passed away two years ago at the age of 92.